Me and Hamish has discussed a little and we have decided that we will work with different themes for this series that we run the first Monday each week. This week we will give you two quotes, and you use one to get inspired for a haibun. As you all know the haibun was the creation of Matsuo Bashō, but it’s roots go further back into Chinese prose. Today haibun has evolved into a very dynamic way of artistic expression combining prose, poetic prose or prose poetry with haiku or other short poetry. Here we would like you to continue to work with fairly short pieces, keeping the total number of words to below 250 words, and using only one haiku at the end of piece. If haibun is new to you, take a look at our first haibun Monday. So for inspiration we have chosen the work of Kahlil Gibran. He was a Lebanese-American artist, poet and writer. He was born in the city of Bsharri in 1883, who at that time was part of the Ottoman Empire but is now part of Lebanon. He emigrated already in 1895 with his mother and siblings, but he returned home for his education. He lived and worked in United States, and died already in 1931. He never became a US citizen and is buried in his hometown. If you want to use any of Khalil’s paintings please feel free to use some. I think his paintings might give you additional inspiration. Of course I’m also very interested in your personal relationship with his writing. I have understood that his books are part of many bookshelves.. do you have a thumbed copy yourself somewhere.. please tell us. Welcome everyone… I hope you like the quotes I have chosen for you. It’s easy to find good Gibran quotes. And the prompt is open for a week. I agree on Gibran’s quotes…so many good ones…recently I’ve tapped into a gold-mine of Kahlil Gibran books at my local Goodwill! I had a great time with this haibun and I will be making rounds to read! I read Khalil Gibran’s book, “The Prophet” when I was a teenager. His wisdom really opened my eyes. Thank you for the interesting quotes to choose from, Bjorn and Hamish. I have linked in my offering and can’t wait to read how others were inspired. Gayle is now part of the dVerse team.. check out the bio page. Congrats Gayle ~ Happy to read that you are part of the team !!!!! Ah, I have read “The Prophet” a few times. I still own the book. It is one I would never throw away. I wouldn’t have thrown it away either, Mary. It most likely got shared between all my siblings and probably moved out of the house with one of them. Way past due to get a new copy. Wow! Congrats Gayle! This is wonderful news. Welcome! and on the poetry of Gibran, I have never read. My mother was into him and had several worn volumes. After today, I will be checking him out. AND,,,,,,no matter how I try and edit, my haibun is still over 250 words….bah. AND thank you Bjorn and Hamish for this interesting prompt. Ah.. I hope you will bend the rules a little.. just link it up.. I promise not to count the words..
Well thank you, Toni. I feel very grateful to be given this opportunity to be a part of the team. 🙂 Will scoot on over to see what inspired you today. I’m linked! I’m getting good at linking. The super hero, Ghost in the Machine, has not had to rescue me in awhile. D’Schedule page looks good – Thank you Grace! I’m off on errands and will be back later to read and comment. Everyone have a good day. We lucked out and the hurricane didn’t hit our coast directly. Still historic flooding in the state and area and some power loss. But…much better than anticipated! I’m delighted that this will be open for a week. I need to think about it. Kahlil Gibran was presented to me by an elderly lady that I was visiting and taking care of. She had a well worn book she read from and told me that I ought to read him as well. I could recommend “The Prophet” one of his very well known works. Just filled with insightful wisdom, written beautifully for people of all walks of life. I first read it when I was a teenager. Now I feel like I want to read it again too. It’s actually dipped down into the 60’s here (F) the past few evenings with lowered humidity. You don’t know how much better that feels! I’m popping in and out looking to visit and comment. I’ve enjoyed the few I’ve read…very cool prompt, Bjorn and Hamish! You are lucky, Gayle. We are in the 50’s, and it seems like such a sudden dip that I am really freezing with the temperatures. In a couple monhs this will be considered warm. Sigh. It feels refreshing right now but I know it will most likely go back up…summer is not done with us no matter what the calendar says! Hope you get a little more warmth before the cold grips you, Mary. Oh, and I forgot to say I have linked! I have several of Gibran’s books. I love his wisdom. That’s primarily why I’m posting today. I couldn’t pass up the prompt. BUT, I very rarely write to any form, and this one intimidates me. For some reason my mind just doesn’t think in Haiku. Anyway, I tried. Thank you Bjorn and Hamish for this lovely prompt. For not thinking in haiku, Myrna, you did very well with the haibun. I would agree with you, Mary, Myrna did an excellent haibun. Oh what a wonderful night you’ve had. 😉 early morning here. Absolutely I have Gibran on my bookshelves! Two copies of The Prophet, one in poetry the other with the spiritual books. I have a couple of his others too, but I don’t think they are quite as good. The Prophet was his masterpiece. Andrew and I read turn about from the chapter on Marriage at our wedding, and at the funeral of a dear friend I read from the ending: ‘Farewell to you and the youth I have spent with you’ etc. Oh they do help most of the time… And these were wide enough to let the muse wander a bit…enjoyed the challenge, thank you Bjorn. 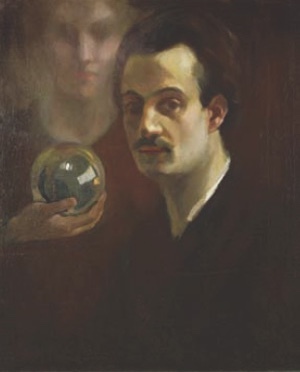 Hi everyone, Joining in for Haibun Monday… I have always loved Kahlil Gibran, I first read him as a teenager and still have my very worn copies of those books. And I am still in love with the Haibun form! I will be making my way through everyone’s links this week, looking forward to seeing what you all came up with! Hi Mary, Happy Tuesday to you! I really loved your haibun.. and I think our thoughts on the quote took us along similar paths.. very good writing. Thank you, and yes, I was smiling at our similar themes! Question. I have never written a Haibun and was looking at the earlier post and some things online. So the first “paragraph” is like free verse? I can’t seem to figure out a pattern or form to it. And then it ends in a Haiku, right? The first part is prose like a story. Then the ending is a traditional haiku, 3 lines (no need to count syllables). I use nature theme for my haiku, even a contrast of imagery versus my prose. I think I got it. Thanks for the description. Let me see what comes to mind. If I have done one before, it was in high school…and long forgotten, lol. It also helps to read what is linked up to get an idea of form/format – the “prose” part can be free verse but as many people have not written haibun, right now we are going with a simpler, more traditional form. I hope you have fun writing! Haibun is my third favorite poetic form. Thank you for the input. I was torn between reading others submissions before I wrote mine as I didn’t want to unintentionally go with someone’s thoughts. But there was so many wonderful poems on there! I am only through half too. I’ve written something. I will let it marinate for a day though and come back to it tomorrow since I already posted two other poems today. My followers are not used to several posts a day, lol. I guess I am feeling poetic these days. Feeling poetic is great! I sometimes read through when I am unsure about a form. I find many times, people seem to have a similarity in a thought when a prompt is given, but there is always that bit that is different, that looks at a different angle or uses their unique imagery. I wouldn’t worry about maybe picking up someone’s thoughts. I often “borrow” from TS Eliot or Bruce Springsteen, or Basho. it’s how we poets roll! I can haz two? 😀 Done!